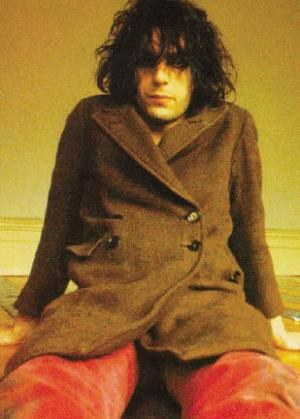 That Syd Barrett saw his shot at superstardom dissipate into the darkening circles of his bruised brain is more than a little tragic. That we have a soundtrack to some of that dissolution, as both an artistic and human document, is more than a little miraculous. 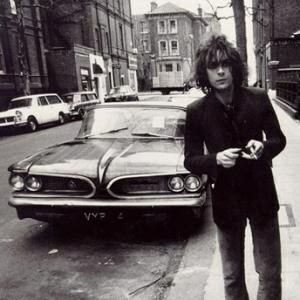 When he died in 2006, after decades of cult-figure status and willful anonymity, Syd Barrett was arguably better known as the person who inspired one of Pink Floyd’s best albums, and not the man who once led and named them. Certainly, the fact that he put out two albums, even after (and/or during the continuation of) his epic -- and archetypal -- drug-induced disintegration has always seemed more of an afterthought than fans in the know find acceptable. 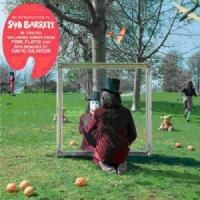 Perhaps the release of An Introduction to Syd Barrett, a generous sampler of selections from those two albums, along with highlights from Pink Floyd’s debut, The Piper at the Gates of Dawn, and a handful of singles from 1967, will signal a long overdue reappraisal. When it comes to Barrett, it’s not so much a matter of whether the time is right. Syd was infamously unfashionable by 1970 (when both of his solo albums were released), and that music has always been difficult to attach to a particular time or place. While this fact ensured that the albums were marginalized and misunderstood then, they remain, as much as any pop music made four decades ago, timeless. This collection begins, appropriately, with the single “Arnold Layne”, a song sufficiently original and compelling to land Pink Floyd (then called “The” Pink Floyd, and named by Barrett after semi-obscure blues musicians Pink Anderson and Floyd Council) an offer from EMI. The single -- which hit number 20 in the UK -- concerning a cross-dressing clothesline thief, still astonishes with its wit, poetry (“doors bang / chain gang”) and brazen finger in the eye of buttoned-down British sensibilities (“takes two to know”). It signaled the arrival of a significant and utterly unique talent. That promise was realized on the follow-up single “See Emily Play”, which, with its shifting tempos, sped-up pianos, backward taping, and Technicolor trippiness, provides an authentic English counterpoint to the hippier and dippier Flower Power singles being cranked out across the sea in 1967. With considerable confidence, Pink Floyd entered Abbey Road studios to record the debut. Across the hall, the Beatles were busy tinkering with the album that remains the most talked about work from the Summer of Love, Sgt. Pepper’s Lonely Hearts Club Band. The results, remarkable in and of themselves, assume an added layer of relevance when considered as primarily the result of one man’s singular vision (as opposed to the Four Fabs, or five if you count George Martin -- and you should). The three selections, “Chapter 24”, “Bike”, and a remix of “Matilda Mother” (an early version with different lyrics) are an adequate overview, but anyone who wants to more fully understand Pink Floyd, 1967, psychedelic rock, and one of the more consistently satisfying debut albums ever is obliged to acquire The Piper at the Gates of Dawn. Oh, by the way, this one’s Pink. With due respect to Waters, Wright, and Mason, the band’s first effort was Barrett’s baby. His lyrics, ranging from the obligatory astral imagery of the era (“Astronomy Domine”) to the obligatory shout-out to I Ching (“Chapter 24”) to the brain salad surgery of “Bike”, reveal an erudite and eccentric wordsmith, more light than dark, more ebullient than enigmatic. Piper, in short, is a happy explosion of creative potential, producing fruit that flourishes more than 40 years on. And intriguing as Barrett’s words and voice are throughout, the real revelation is his songwriting. The compositions, with the notable exception of the extended space-rock jam “Interstellar Overdrive”, are exercises in precision, packing maximal sound and feeling into bite-sized bits. Barrett’s clever if unconventional use of a Zippo lighter as a makeshift slide gave him the ability to play fast while conjuring a shrill metallic shriek from his guitar. Those glistening cries are in full effect on the single “Apples and Oranges”, adding just enough quirky edge to give it the signature Floyd sound (that, and the “quack quack” after the line “feeding ducks in the afternoon tide” -- a classic Barrett embellishment). Considering Piper and the handful of singles and outtakes, one could make a reasonable case that Barrett’s diamond shined as bright as any artist’s in 1967. (And beyond: Although not included in this set, consider the fey, teasing vocal performance on “Candy and a Currant Bun” -- formerly “Let’s Roll Another One”, a title the band was obliged to change for obvious reasons -- which is worth noting for the template it provided the young David Bowie.) The world had every reason to think that Pink Floyd was going to make game-changing music and be around for a long, long time. As we know, they did, and were; albeit without their front man, who was asked to leave the band less than a year after Piper was released. It was unbelievable then, and remains difficult to completely comprehend now. The next part is where it gets intriguing, if still unresolved. That Barrett saw his shot at superstardom dissipate into the darkening circles of his bruised brain is more than a little tragic. That we have a soundtrack to some of that dissolution, as both an artistic and human document, is more than a little miraculous. Whatever one thinks of the work he recorded post-Pink Floyd (and opinions, predictably, are all over the place), arguably not since Vincent Van Gogh and Edgar Allan Poe have we seen, for posterity, such poignant creative evidence of an aggravated, altered psyche pushed well past endurable limits. With this in mind, listening to “Jugband Blues” (the only Barrett track to make it onto Floyd’s second album, A Saucerful of Secrets) and the way the song shifts from buoyant to desolate could almost be considered a case study of psychosis as it was happening. But it is, of course, more than that: It is also a tape recorder running while a brilliant, fragile musician screamed his last scream. And even in those moments the case for Barrett’s madcap acumen is powerful. On “Jugband Blues”, he made the puzzling decision to bring a Salvation Army band into the studio. What ensues is at once hilarious and harrowing, and by the time the din dies down and it’s just an acoustic guitar and Syd’s somber voice (“And what exactly is a dream? / And what exactly is a joke?”), you wonder how he made it work even as your heart breaks. Considering he was the one who benefited most (artistically and financially) from Barrett’s exodus, it is at once fitting and touching that David Gilmour probably did the most to help his old Cambridge mate. After his songs “Vegetable Man” and “Scream Thy Last Scream” (both widely bootlegged, but never available for official release, and presumably unavailable -- due to legal or copyright issues -- for this collection, though they would both be welcome and essential additions) were rejected by the band during the A Saucerful of Secrets sessions, Syd was mostly absent from recording studios and the public eye for the better part of a year. After some aborted sessions in ’68, Barrett resumed work on a collection of songs that eventually became The Madcap Laughs (released in January, 1970). Jerry Shirley (drummer from Humble Pie) was recruited, along with members of the Soft Machine. Toward the end, with the proceedings in danger of falling apart, Waters and Gilmour stepped in to help finish (playing bass, producing, and, one imagines, prodding). It is unlikely that anyone hearing these songs (or the songs from the follow-up, Barrett, released later in 1970) for the first time will know what to make of them, particularly with Piper as the presumable point of reference. Obviously, that was the comparison listeners would have made, by necessity, when these albums arrived, and the differences between what Barrett achieved in ’67 and what he created in 1970 are universes apart. That said, this is, for a variety of obvious reasons, challenging, unusual music that requires an investment of time and patience. Once it is received on its own terms (and this simply may not be possible for some people), a flow reveals itself and most of the material makes quite a bit of sense in its own uncanny way. The songs range from the gorgeous and hypnotic “Terrapin”, which features only an acoustic guitar and Syd’s inimitable croon, to the almost unbearably raw “If It’s in You” (the latter likely to be either majestic or nails on a chalkboard, with little chance of middle ground). The upbeat “Love You” comes close to capturing the ’67 whimsy, and “She Took a Long Cool Look” picks up where “Jugband Blues” left off, the plaintive yearning replaced by a frosty resignation. They’ll never put me in their bag. “Dark Globe” is like a man singing an epitaph for the person he’d been and who he had become. It is a remarkable achievement and remains unbearably poignant: “Please lift a hand / I’m only a person” and “Wouldn’t you miss me at all?” As difficult as it is to hear those words today, one wonders what it was like for Waters and Gilmour that day in the studio. Don’t you want to see her proof? And here’s the rub: real Pink Floyd fans have little choice but to thank the heavens for this complicated chain of events. Put plainly (if coldly), no Barrett breakdown, no Gilmour. The sound that Floyd subsequently perfected was a combination of accident and inevitability, while the collection of increasingly confident transitional albums is a prog-rock treasure trove. Which brings us to Dark Side of the Moon, the first album to directly invoke Barrett (“Brain Damage/Eclipse”). And of course, we literally wouldn’t have Wish You Were Here, Waters’s meditation on madness and mourning inspired by and dedicated to his old friend. Finally, the story, which has to be apocryphal except for the fact that it isn’t, and is enough to make you concede that forces greater than us may indeed have the controls set for the heart of the sun. The band, busy completing the final mix of the album (allegedly working on “Shine On You Crazy Diamond”), did not notice the bigger, bald stranger who had wandered into the room; only after several moments did anyone recognize their former leader. At one moment jumping up and down to brush his teeth with his fingers (a pitiful sight that reduced Waters to tears), the next Barrett was offering to add his guitar parts to completed work. Upon having his services politely declined, he walked out of the studio and no one in the band ever saw him again. There was so much more for Syd to achieve... or was there? Do we dare ask for or expect more from any artist who gave so much? Is it both selfish and short-sighted to wonder what he may have achieved in the ‘70s and beyond when we consider what he’d already done? Did Syd pay the ultimate price for fame and artistic immortality? Or did he contentedly turn his back on the machine that once welcomed him? By most accounts, his final decades (spent mostly with his mother at the house he grew up in) were without turmoil. Certainly, the strain he put on his system had permanent psychological effects, and perhaps we’ll never know if his voracious consumption of chemicals accelerated the onset of a profound condition. In the end, the most pertinent, if unanswerable question is, does it matter?